Extreame Savings! 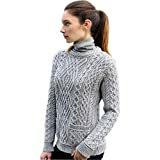 Up to 47% off on Cardigans at Femi Store. Top brands include NB, High Style, YEMAK, NIC+ZOE, Anna-Kaci, H2H, Relipop, Lynwitkui, Flying Tomato, BB&KK, Citizen Cashmere, J Doe Style, YourStyle USA, Style & Co., RD Style, 82 Days, Abollria, West End Knitwear, & Made By Johnny. Hurry! Limited time offers. Offers valid only while supplies last.